IPEX or International Printing Machinery and Allied Trades Exhibition was established in year 1851 in London. It is a leading Printing, Media and Publishing Event. Nowadays the shows takes place in London’s Excel once every four years. The roots of BADISCHE WEINMESSE go back to 1872. This is an annual Regional Wine Exhibition located in Offenburg. INTERGEO starts in 1872. It happens every year and location is usually somewhere in Germany. Intergeo is the largest platform devoted to geodesy and land management. AGRARIA is an Agricultural technology and equipment fair, born in 1878 in Wels. The show is biennial and co-located with Herbstmesse. Curious is that it shares name with at least two similar events – Agraria in Cluj-Napoca Romania and the one in Valladolid, Spain. Both of which, over a century younger. INTERNATIONAL TECHNICAL FAIR, more popular as ITF is a Bulgarian fair, which started in 1892 in Plovdiv. The event is annual and its 70th edition was in year 2014. AUTORAI is Netherlands biggest International Motor Show. The path of the show starts in 1893. Officially the first year is 1899. The 59th edition will happen in the middle of April 2015. IAA PKW, abbreviation of Internationale Automobil-Ausstellung Personenkraftwagen or International Motor Show Cars is one of the most impressive of its kind. It started in 1897. At the end of September Frankfurt will host its 66th Edition. Since 1991, IAA PKW has a younger Brother called IAA Nutzfahrzeuge. In 1898, two fairs were boosted in Verona Italy – The International Agricultural Technologies Show FIERAGRICOLA and the equestrian FIERACAVALLI. The first one, currently biennial, having 111 editions so far. The second with annual frequency and 116 Editions. 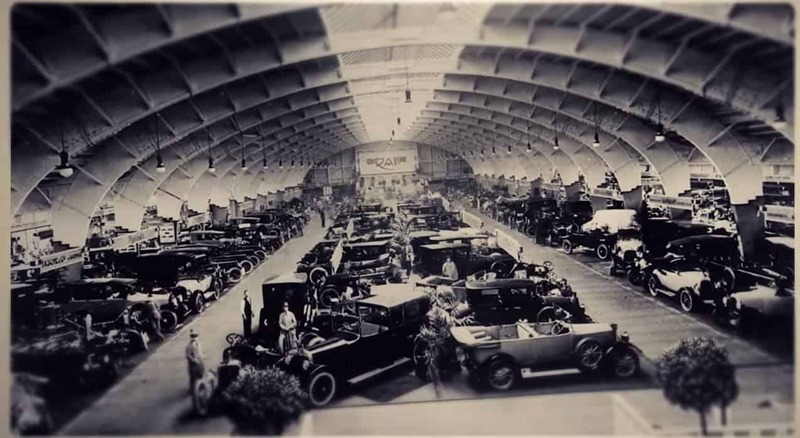 MONDIAL DE L’AUTOMOBILE DE PARIS is the Paris Motor Show which is on the road since 1898. The show has 61 editions by now and biennial frequency in the last decade.